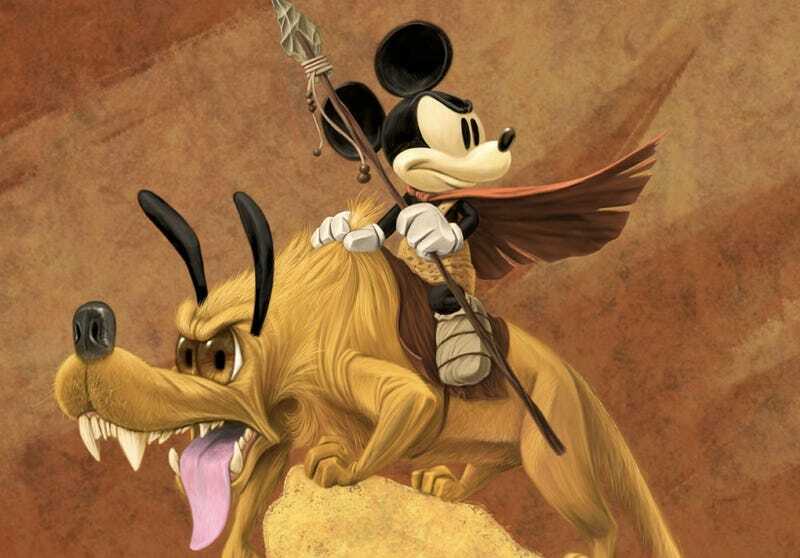 If fantasy artist Frank Frazetta had ever worked for Disney, perhaps we would have seen Mickey Mouse on a distant sand and sandals world plagued by ferocious monsters. This Frazetta-inspired painting gives us a glimpse of the Micky fantasy adventure that never was, but ignores one important question: What would Minnie be wearing? Disney artist John T. Quinn III painted this digital rendition of a mouse and his dog for a presentation to the top brass at Disney. Was this inspired by Disney's upcoming trip to Barsoom in John Carter? Or does Disney have other fantastical film projects up its sleeves?